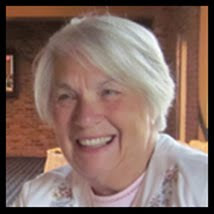 Last Wednesday Ancestorville (on Facebook) had two of their almost daily chats on genealogy. These were on Scrapbooking Your Heritage. There was a lot of interest ranging from "What is 'scrapbooking'?" 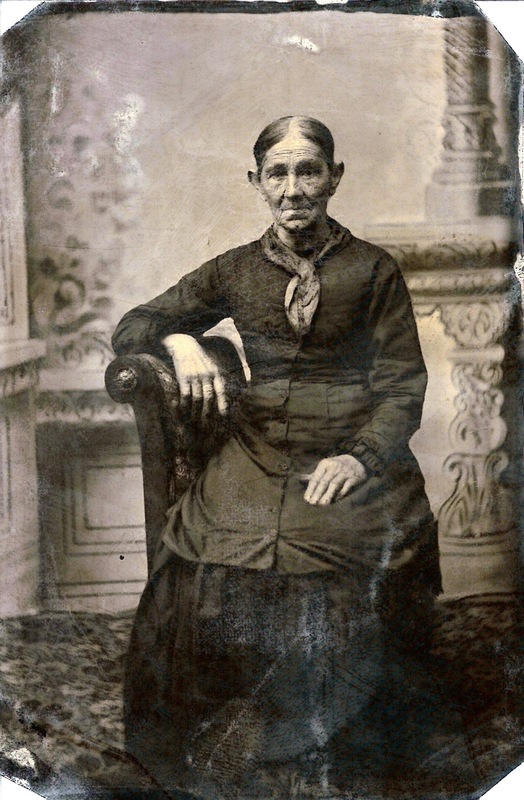 to "I am a scrapper but never thought to scrap my old photos and stories" to "I have been scrapping my heritage for years." The way we approached this first series of chats did not make a difference between paper-scrapping (traditional) to digital scrapping (graphic). The ideas of where to start are the same. 01. Choose a cherished photo and scan it. For paper scrapping, print the scan to use. For digital scrapping, import that scanned photo into your favorite graphics program. Then put the original photo (or photos) back into the photo safe storage system. This was not "fixed" because I wanted to use it exactly as scanned. 02. Tell the story. If you are more comfortable handwriting, take a page in your journal or a loose piece of paper and write out all that you know about that photo and who is in it. If you are more computer oriented, open a new page in your word program and write there. I imagine myself talking to my granddaughters about the photo. That way I assume they know nothing about it. You could take the journalism approach of telling who, what, when, where, and why. Get wordy! Don't worry about grammar or spelling. Word and some other programs include spell and grammar checkers. If your program doesn't have that don't worry. I absolutely adore things I find in my grandmother's Indiana Farm vernacular and archaic spellings. I would never want them to have been put through a spell or grammar checker. 04. If you are new to digital scrapping check the program you are using. Most include a small selection of backgrounds to use. Do a search for "digital scrapbooking" and hundreds of sites will pop up. Most have some fre digital materials available. 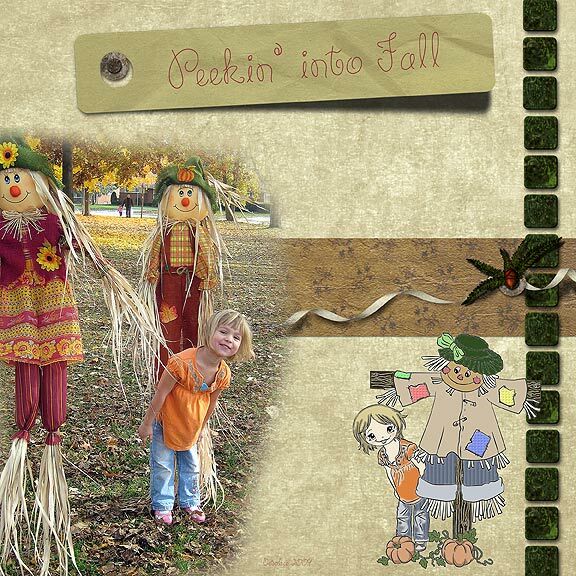 The Digital Scrapbook Place has a Freebie Gallery. Shabby Princess has been accumulating a large free collection per month for several years, all available all the time. That should be more than enough to get you started. 05. Getting a digital program. Yes, you CAN use Word but it is very limited to photo and words. I googled "digital graphics software" and was given about 70,100,000 results. Most will cost something so choose what you are comfortable spending. That is balanced by the cost of papers and embellishments from a scrapbooking store. You can use and reuse digital elements forever, changing the colors and looks to fit your mood. Scrapbooking stores often have classes to get you started. Or try them both and see what you like best. 06. Add the "journaling". Digital or traditional, you will probably want to copy the story you want to tell onto something decorative. If it is a long story, consider a 2-page layout with the photo(s) on one page the the story on the facing page. 07. Decorate! Scrapbook stores are full of everything you can imagine. Sometimes there are sets with embellishments designed to match the backgrounds. If you have something in mind you can go on a search. If you choose to paper-scrap at the store you can go and look and get JUST what you want to use. 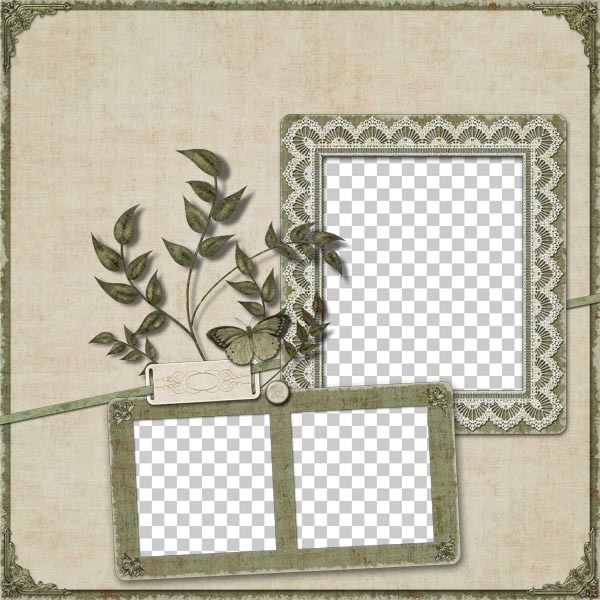 Digital "kits" also have embellishments designed to go with the backgrounds. Mixing elements from different kits is another talent some people have and use, combining things from 8-10 or more digital kits. Designers and digital scrappers often make a layout that is fully put together except for the pictures. That is a PLOPPER. It is sometimes a gift at a chat and made to promote a new kit from that designer. All you have to do is slip the photos behind the page and size them to fit. You have to be sure that the places for photos are open. 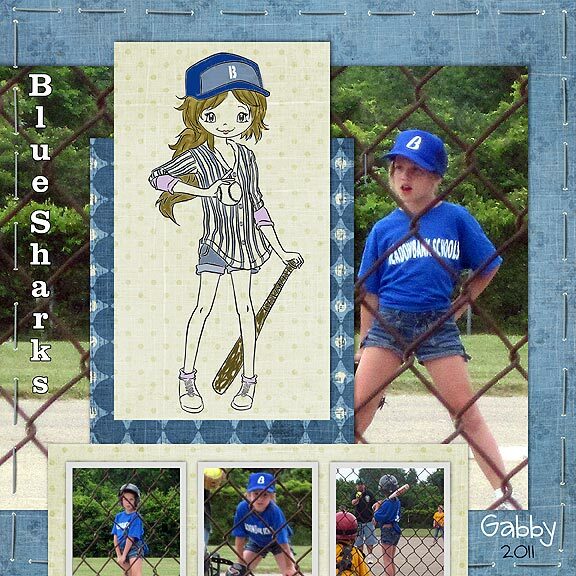 Some sites, like The Digital Scrapbook Place, have ploppers designed by their on-staff-talent and for sale. 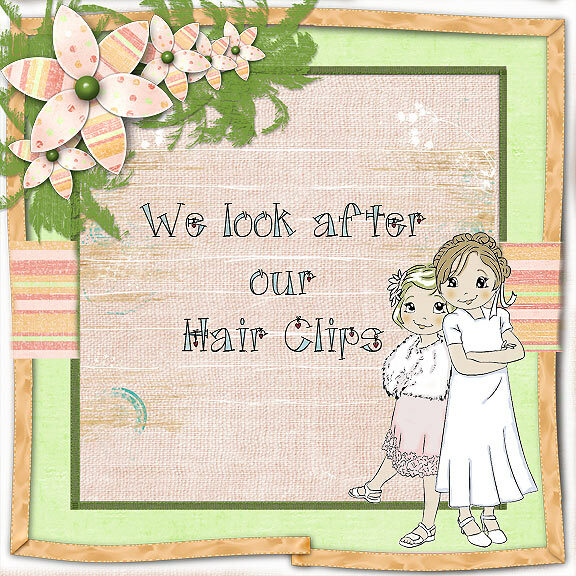 This is a Plopper designed by Teresa Loman at Digital Scrapbook Place. Like many Ploppers it was given as a chat gift and promotes her full kit which can be found here. QUICK-CLICK TEMPLATE is different. It is in layers. Sometimes you have to import each layer separately and stack them in the right order. Most now have another page that is a PNG and ready to import all at once. You use the elements of your choice adding and subtracting as you like. 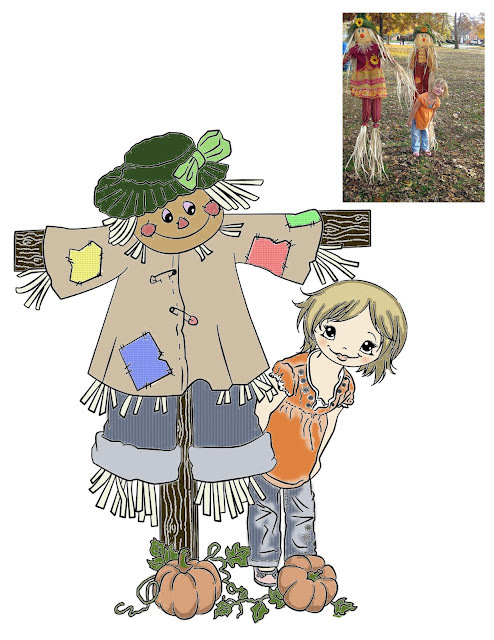 Here is one of the "Ploppers", and this one is also from the Digital Scrapbook Place. You can find this one and many others in the DSP store. Use the search bar at the top right and type in "Quick Clicks". INSPIRATIONS can be found anywhere. You can browse through galleries at any of the scrapbooking sites, through magazines. Even TV ads, and highway billboards can provide a sudden inspiration. Some scrappers I know carry little notebooks and sketch inspirations, or cut out magazine pages. Here is an inspiration collection that is a forum full of inspirations found by one of the DSP members, and here is one of the inspiration pieces.